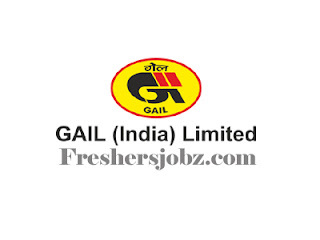 GAIL Recruitment 2018.GAIL has released a notification for the recruitment of Assistant, Foreman,Tecchnicians and more Vacancies.Check the eligiblity and notification prior to apply for the positions. 1. Assistant (HR): Full time Bachelor Degree of minimum 3 years duration with minimum 55% marks [for OBC (NCL) category candidates] / 50% marks (for SC category candidates). Candidates should have basic knowledge & skills in computer applications (MS office – Excel, Power point, Word etc.) in office environment. 1. Foreman (Electrical): Diploma in Engineering in Electrical/ Electrical & Electronics with minimum 55% marks. Minimum 02 (Two) years post qualification experience in line in Electrical discipline in Power/Steel/Cross Country Hydrocarbon Pipelines/ Hydrocarbon Process Plants (i.e. Refinery, Petrochemicals and Fertilizer plants only) of a State/Central Government Undertaking(s) and/or Private Sector Organization(s) of repute, as an employee of that Plant/Undertaking/Organisation. 2. Foreman (Mechanical): Diploma in Engineering in Mechanical /Production/Production & Industrial/Manufacturing/Me chanical & Automobile with minimum 55% marks. Minimum 02 (Two) years post qualification experience in line in Mechanical discipline in Power/Steel/Cross Country Hydrocarbon Pipelines/ Hydrocarbon Process Plants (i.e. Refinery, Petrochemicals and Fertilizer plants only) of a State/Central Government Undertaking(s) and/or Private Sector Organization(s) of repute, as an employee of that Plant/Undertaking/Organisation. Minimum 02 (Two) years postqualification experience in line in Instrumentation discipline in Power/Steel/Cross Country Hydrocarbon Pipelines/ Hydrocarbon Process Plants (i.e. Refinery, Petrochemicals and Fertilizer plants only) of a State/Central Government Undertaking(s) and/or Private Sector Organization(s) of repute, as an employee of that Plant/Undertaking/Organisation. 4. Foreman (Civil): Diploma in Engineering in Civil with minimum 60% marks. 5. Foreman (Chemical): Diploma in Engineering in Chemical / Petrochemical / Chemical Technology with minimum 55% marks. Minimum 02 (Two) years postqualification experience in line in Chemical discipline in Cross Country Hydrocarbon Pipelines/ Hydrocarbon Process Plants (i.e. Refinery, Petrochemicals and Fertilizer plants only) of a State/Central Government Undertaking(s) and/or Private Sector Organization(s) of repute, as an employee of that Plant/Undertaking/Organisation. 1. Full time Bachelor Degree of minimum 03 years duration in Hindi Literature with minimum 50% marks and Should have English as one of the subjects in Graduation. Candidates should have basic knowledge & skills in computer applications (MS office etc.) in office environment. 2. Minimum 03 (Three) years Post Qualification experience in line in English to Hindi translation and vice-versa of various reports, documents, letters etc., preferably State/Central Government/Public Sector Undertakings/Banks/ Financial Institutions of repute as an employee of that Plant/Undertaking/Organisation. (i) Copy of SBCollect Reference Number generated by State Bank of India. (ii) Print out of the Online Application form with 02 recent passport size photographs (same photograph as uploaded on the online application form) along with signature on the application form. (iii) Document in support of Date of Birth proof – Matriculation/ Class-X Certificate/ Mark Sheet/ Admit Card issued by the Board. (iv) Caste/Tribe certificate [for SC/ ST/ OBC (NCL) category candidates as applicable] in the prescribed format issued by the Competent Authority as prescribed by Government of India. OBC (Non Creamy Layer) category candidates are required to submit latest Caste certificate. (v) Disability certificate [in case of PWD category candidates] in the prescribed Central Govt. format issued by the Competent Authority. (vi) Ex‐servicemen Proof (in case of Ex‐servicemen candidates). (vii) All Certificates/Testimonials in respect of qualifications (all semester/year wise Mark Sheets, Degree & Diploma certificates starting from Matriculation onwards). (viii) Complete and Proper Experience Certificates - Documents issued by the Employer in support of experience details mentioned by the candidate in the online Application Form. 1. Only Indian Nationals above 18 years of age are eligible to apply. 2. The candidates should ensure that they fulfill all the eligibility criteria and other conditions of this advertisement and that the particulars furnished by them in the online application and the documents submitted by them later on (in terms of Clause 8.6 as mentioned above) are correct in all respects. Mere admission to the selection process does not imply that the Company (GAIL) has been satisfied about the candidate’s eligibility. In case it is detected at any stage of the recruitment process that a candidate does not fulfill any of the eligibility criteria, and/ or that he/ she has furnished any incorrect information or has suppressed any material fact(s), his/ her candidature will stand cancelled. If any of these shortcomings(s) is/ are detected even after appointment, his/ her services will be summarily terminated. 3. The details entered by the candidate at the time of online registration are final and binding. Further, request for change of Mailing Address/email ID/ Category/Posts as declared in the online application will not be entertained. 4. Candidates should possess a valid email ID. Candidates are advised to keep the email ID (to be entered compulsorily in the online application form) active for at least one year. No change in the email ID will be allowed once entered. All correspondence with candidates shall be done through email only. All information/ communication regarding participating in the Selection Process shall be provided through email to the candidates found apparently eligible based on the online application data and documents submitted. Responsibility of receiving and downloading of information/ communications etc. will be of the candidate. GAIL will not be responsible for any loss of email sent, due to invalid/ wrong email ID provided by the candidate and no correspondence in this regard will be entertained. 5. Only short listed candidates who are found apparently eligible based on the online application data will be called for participating in further Selection Process. In case the applicant does not receive any communication within 120 days from the date of publication of this advertisement, it may be presumed that he/ she has not been short listed for further Selection Process. 6. Category [SC/ ST/ OBC (NCL)/ PWD] once filled in the online application form will not be changed and no benefit of other category will be admissible later on. 7. The OBC candidates who belong to “CREAMY LAYER” are not entitled for OBC concession and such candidates have to indicate their category as “General”. 8. Relaxations/ Reservations for SC/ ST/ OBC (Non Creamy Layer)/ PWD (degree of impairment 40% or above)/ Ex-Serviceman as per Government Directives are applicable. 1. 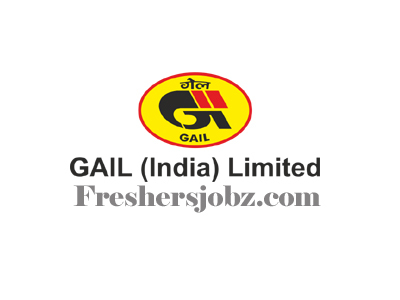 CANDIDATES WILL BE REQUIRED TO APPLY ONLINE THROUGH GAIL WEBSITE (www.gailonline.com): No other means / mode of application shall be entertained. Application portal for the same shall remain open from 1100 hrs. on 22.10.2018 to 1800 hrs. on 21.11.2018. 2. Candidates can apply for ONE POST ONLY. In case of more than one application by a candidate, the application submitted on later date shall be considered for the purpose of this advertisement. No further correspondence regarding this shall be entertained. (i) Valid email ID and mobile no. (ii) SBCollect Reference Number generated by State Bank of India, if applicable. 4. After submitting online application, candidate is required to keep the copy of the Application form with unique registration number received on his/her email ID; alternatively download the Application Form and keep the same for future reference.